Take your governance and leadership knowledge to the next level. Annual membership from $432 AUD. BoardWise members get free access to monthly webinars curated by Better Boards (normally $99 per webinar, per person). With new resources added each month 100 is a conservative number! BoardWise features content from a growing group of practitioners, consultants and experts with specialist knowledge in not-for-profit governance and leadership. BoardWise members receive member rates on events like the Better Boards Conference. No matter where you are on your governance journey BoardWise has something to help you grow your knowledge. Other products that log CPD make you enter it manually. BoardWise uses proprietary technology to automatically log CPD hours to your profile so you don't have to. Most board training programs are created with individual directors in mind and make it hard to sign everyone up. We recognise that all members of your board need to access to educational materials. From day one we crafted BoardWise with use by a whole board in mind - making it easy for you to manage your board's professional development. Our team has worked with not-for-profit and for-purpose organisations for over 10 years, we understand that you need quality education to make your organisation world class, but that it needs to be at a price that is accessible for your organisation. BoardWise is one of the most cost-effective director professional development programs on available today. Often board training is expensive, takes up valuable time and isn't in a convenient location. BoardWise is completely online so all you need is an internet connection and a device to access it. Access it anytime, anywhere. Would you like a printable information pack on BoardWise you can share with your board? Plus if you tick "subscribe me to the free newsletter" we'll send you free governance & leadership articles each month! What is the investment required? not-for-profit organisations of all sizes. We know that not every board is the same, so BoardWise is priced to allow for flexibility depending on your board's needs. Is your organisation a not-for-profit? We strongly believe that BoardWise can help take your governance and leadership knowledge to the next level. That's why we back it with a 30-Day, money back guarantee. We want you to dive in and experience the full wealth of this resource without reservation. If you’re not satisfied, just contact us within 30 days of purchase, and we’ll refund 100% of your subscription fee. Everyone knows that the directors of non-profit organisations need to stay up-to-date and undertake regular professional development and training. So why don't they do it? Often training is expensive, takes up valuable time and isn't in a convenient location. Better Boards developed BoardWise to solve these issues and more. We came up with BoardWise when we noticed these issues while running professional development events for not-for-profit directors. BoardWise is a membership-based online learning platform designed with the specific aim of creating the best possible environment for whole boards, not just single not-for-profit directors, to undertake the professional development and education they need to ensure their non-profit organisations are world class. I'm not a not-for-profit Director can I join? Yes, we welcome all people with an interest developing their governance and leadership knowledge and skills, however, you must sign up at the Corporate/Consultant rate. We do not offer free trials, instead we offer a 30-Day money back guarantee. We strongly believe that BoardWise can help take your governance and leadership knowledge to the next level. That's why we back it with a 30-Day, money back guarantee. We want you to dive in and experience the full wealth of this resource without inhibition. If you’re not satisfied, just contact us within 30 days of purchase, and we’ll refund 100% of your subscription fee. Please note: If within the first 30-Day money back guarantee period you purchase BoardWise member-rate tickets for a Better Boards event we will deduct the difference between the member-rate tickets and full price conference tickets from any refund. Can I sign my executives or CEO up? Yes. Quite a number of organisations who are BoardWise members have found it beneficial to sign both their chief executive officer and executive teams up to BoardWise as well. This allows the executive to have a much clearer understanding of the board's role and why boards think and operate in particular ways. What are the topics covered in BoardWise? There are a wide range of topics covered in BoardWise. The core focus is on not-for-profit boards and their governance and leadership requirements. If you use the form further up the page to request an information pack, this pack includes a list of the current topics inside BoardWise. The bulk of content inside BoardWise was created with Australian boards in mind. All content is presented in English. However, much of the material, particularly as it relates to board dynamics, leadership and good governance practices is applicable to boards from any country. We have a small number of BoardWise members from New Zealand, the United States of America and the United Kingdom. Is BoardWise CPD linked to a specific professional body or association? CPD in BoardWise is not linked to a specific professional body or association (this may change in the future). However, you can still claim the CPD time you log on BoardWise with many professional bodies and associations.The requirements of each professional body and association for claiming CPD completed with external providers are unique. It is recommended you contact your chosen professional body or association to check their requirements. Below you will find a brief overview of various professional bodies' positions on whether they accept CPD claims for materials completed through external providers (such as BoardWise). This information was obtained from the respective organisation's public website. Again it is recommended you contact your chosen professional body or association to check their requirements. This information was last updated on 15 June 2017. AICD allows you to claim CPD (or what they have termed DPD) from external providers. Visit http://www.companydirectors.com.au/Membership/Director-Professional-Development/DPD-units-for-other-provider-activities for further information. The Governance Institute states on its website that the "Governance Institute considers ‘valid CPD’ as contributing to and/or relevant to your current role and responsibilities (and/or future career progression) as a governance and risk management professional." Our interpretation of this is that since BoardWise materials are aimed at doing this then it should in theory be possible to claim CPD from BoardWise with the Governance Institute. However, it is recommended you contact the Governance Institute to confirm this. CPA Australia's website states "Any activity that increases your knowledge, skills and ability to do your job can be included in your CPD records." Our interpretation of CPA Australia's website and public statements is that the activities you would undertake in BoardWise are activity that increases your knowledge, skills and ability to do your job and as such would be logged under "Self-study including self-paced learning packages, professional development online, CDs, video or audio packages" or "Structured reading, video or audio". However, it is recommended you contact CPA Australia to confirm this. It is recommended you contact the Australian Institute of Management directly to confirm their stance on claiming CPD from an external provider. It is recommended you contact the AM Institute directly to confirm their stance on claiming CPD from an external provider. How can my board and I get the most from BoardWise? Each member and their organisation use BoardWise slightly differently ,however, the majority of members get the most from BoardWise in the following way. Based on the upcoming board meeting agenda an appropriate resource is chosen from BoardWise (often by the chairperson). They usually choose a resource they believe will be relevant to the discussion and spark the directors' thinking on the subject. Directors are notified that they need to engage with the resource prior to the meeting and note down thoughts or ideas on the topic/subject. At the meeting time is set aside for discussion of the subject and director's learnings. 1. Based on the upcoming board meeting agenda the person creating the agenda or the chairperson block out time in the agenda for professional development, they then choose an appropriate resource from BoardWise they believe will be relevant to the discussion and spark the directors thinking on the subject. The entire board watches the video or reads the article at the meeting and then use it as a jumping off point for the discussion. 2. Directors are all required to engage with BoardWise on a regular basis, choosing what interests them from BoardWise and then each meeting a brief statement is given by each director on the most recent thing they learnt using BoardWise. These are just some of the more formal and structured ways that directors and their boards utilise BoardWise. There is certainly no one way, so each board should experiment to see what works best for their situation. BoardWise is most effective when all directors engage with the program. We do not offer month to month subscriptions. Your BoardWise subscription will be billed for an entire year up-front. 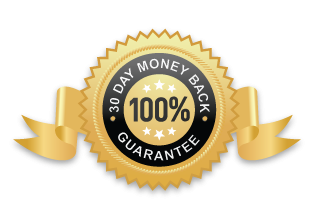 As above, we do offer a 30 day money back guarantee. Where can I view your terms of service etc. ? Have you got more questions or queries? BoardWise is a member of the Better Boards family. the Art & Science of the Boardroom. © 2017 Better Boards Australasia All Rights Reserved.